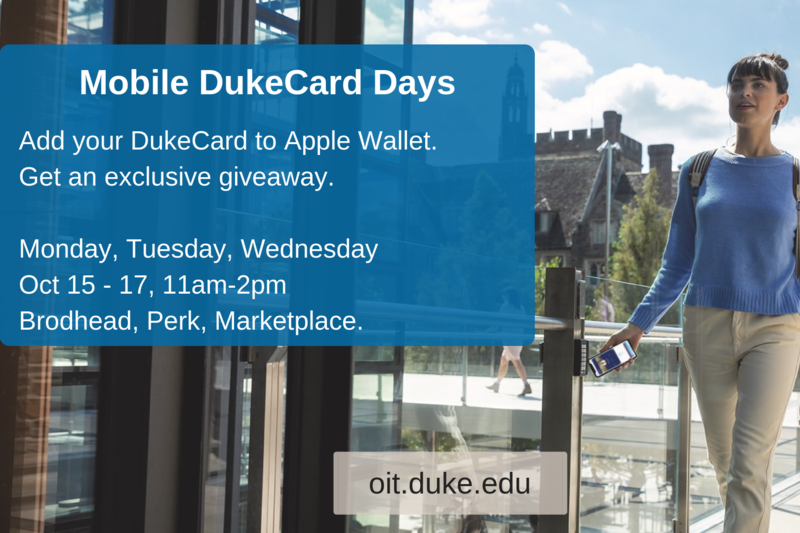 Add your DukeCard to Apple Wallet. Get an exclusive giveaway. Monday, Tuesday, and Wednesday from 11:00am-2:00pm at Brodhead, Marketplace, and the Perk.